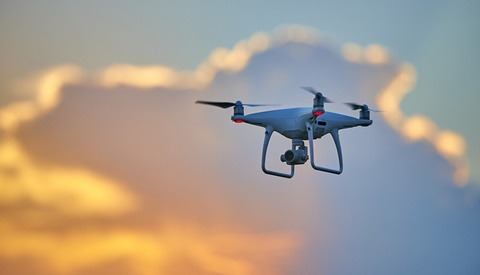 This year has seen the number of people owning a drone grow like never before. That’s probably due to the units becoming more affordable and more accessible to use. One great example is the DJI Mavic, or more recently the DJI Spark. The latter is advertised as a drone you can take anywhere but still offers an excellent image quality, and that anyone can use. I bought one earlier this year as I wanted to see if the drone trend was something for me or not, and I thought I’d share my opinion on this adorable little thing. When announced, the Spark was quite a revolutionary piece of gear. It can be controlled only by gestures, it’s available for less than $500, and it doesn’t take more space in a bag than a Bose QC25 headset. 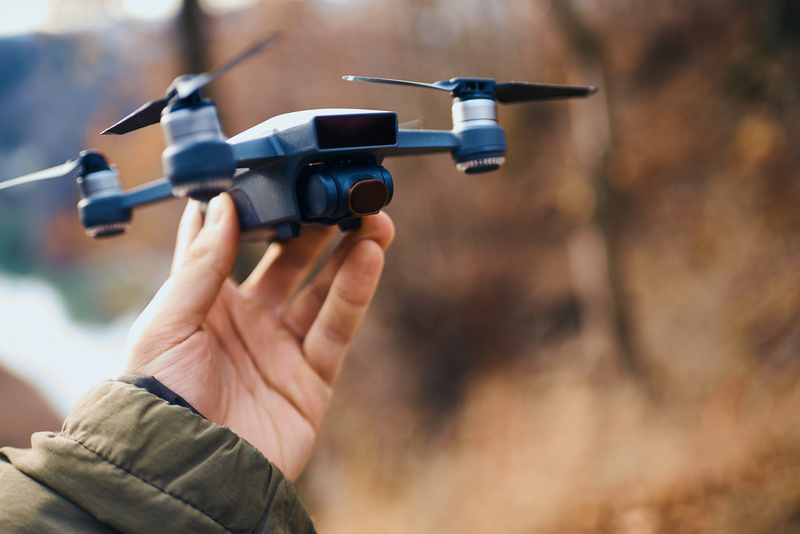 First, it means it’s indeed made for anyone even those with no knowledge of how to fly a drone, and second, it can be taken anywhere because it’s so compact. But usually, making camera equipment smaller and easier to use doesn’t translate into high-quality images and advanced features. That was my fear when I bought it, and I was partly right to think so. 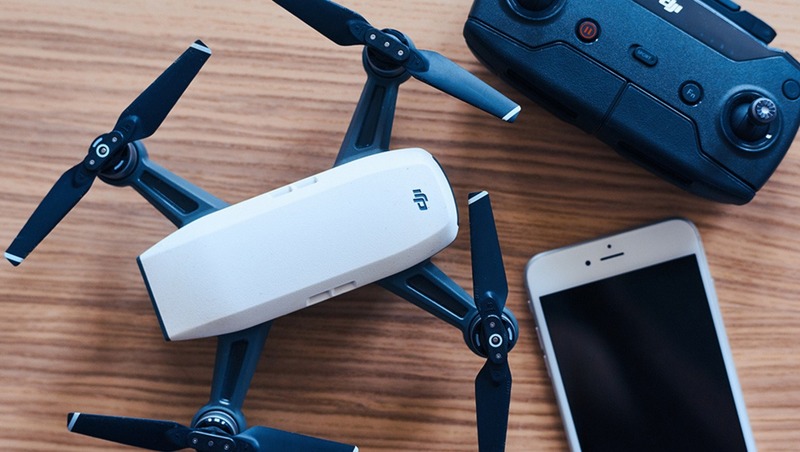 The drone weighs about 0.65 pounds and takes as much space as a small camera in your bag. It’s made of plastic and looks more like a toy than a robust drone. But don’t let the appearance fool you. I crashed mine in a 30-foot high tree, and it fell to the ground but yet it still works to perfection. It seems to be as solid as a tank. The two parts that look the most fragile are the gimbal with the camera and the propellers. Only the latter can be changed, so you better be careful with the camera and the gimbal not to hit anything too hard while flying fast. But you should be able to avoid that thanks to the obstacle detection — unless you choose to disable it. It's so small, it fits the palm of your hands. One battery accounts for about one-third of the total weight. If you buy the drone alone, you won’t get a dedicated charger, but you’ll have to charge the battery using a USB cable plugged into the drone. When purchasing the Fly More combo, you then get an external charger that can charge multiple batteries at once. As I'll get into more in a moment, let’s just say that the Fly More pack is definitely worth the price difference. Being that the batteries are so small, they don’t last incredibly long. DJI announces 16 minutes of flight per load, but that’s an average time. If you fly when it’s a bit windy and find yourself changing speed and directions a few times, you may cut that time by about one quarter and only have around 10–13 minutes, which is closer to what I experienced. So overall, regarding build quality and design, the DJI Spark is fantastic for its price. Let’s not forget that it’s made for the general public and it’s an entry-level unit, not a professional unit. I didn’t expect it to be so solid and small, even after what I had read about it on the web. The feature that everyone talked about when it was announced is the gesture control. It’s fantastic they managed to implement it in such a tiny unit, but in all honesty, it doesn’t replace a remote. What it is useful for is when you want a selfie, don’t have battery on your phone anymore, or just want to impress people around you and make them believe you are a superhero that can move things around. For influencers, it’s a great feature though. Being able to take selfies on their own without having to need anything but that tiny drone is simply fantastic. But gesture control is not the only feature of the DJI Spark. It inherited some advanced functionalities from its bigger brothers. For example, by using ActiveTrack, you can track a subject just by tapping on the screen of your phone. TapFly works the same way, but instead of pressing on the subject, you press where you want your Spark to fly and will make the trip on itself while avoiding obstacles. Finally, there’s the QuickShot feature that lets you use one of the predefined cinematic compositios: rocket, dronie, circle, or helix. 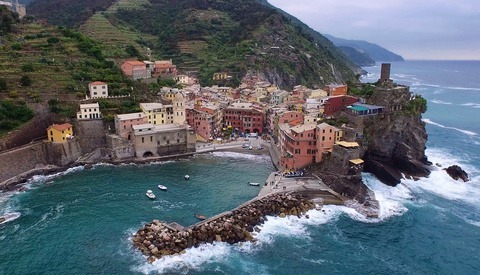 Select the composition, and again, let the drone do the rest. It’s straightforward to use, and it works quite well. The flight will be smooth and so will the video. The Spark can be controlled with all these features, but it was also said you could use your iPhone only. I believed the marketing hype and thought I wouldn’t need the remote controller and spare some money. Well, yes, you can indeed rely on your phone if you plan on using all the features aforementioned or only take pictures, but you can’t if you want to fly in manual mode to film video sequences. It’s incredibly complicated to make smooth movements with your phone, and forget about combining different ones, for example going up and forward while slightly turning right. The remote is more than necessary when it comes to shooting videos in manual mode. But if video is not your thing, then by all means save the money and play around with your smartphone. Let’s talk about image quality as well. Having a drone that does everything on its own or can be smoothly controlled with the remote controller is fantastic, but if the image quality is just poor it doesn’t serve any purpose, right? The DJI Spark can only shoot JPEGs and has one single video mode which is 1080p at 30fps. The JPEGs can be up to 12 megapixels and look quite decent, but, if you are a photographer, you’re probably not going to be satisfied. You won’t get the dynamic range and colors you could get out of a raw file from a good camera. As far as video goes, the files are great as long as you don’t plan on pushing them too much in postproduction. The default color profile is already high contrast and saturated. It’s meant to produce pictures and videos that are the final products, not files that you can tweak in post. I shot the video above in the first few days I received the drone, and it was without using the remote controller. As you'll notice, the movements are jittery and the grading doesn't improve the quality of the video. I can barely push any slider in DaVinci Resolve without having the final render fall apart. But the sequence without grading is quite nice anyway if you are going for a neutral look (left part of the split screen). Being a novice in the drone world, I find the DJI Spark to be an incredibly great unit to start with. However, being a photographer, I wish there weren’t so many limitations regarding image quality. The default color profile doesn’t allow for proper color grading in postproduction, and the low-light performances are far from incredible. 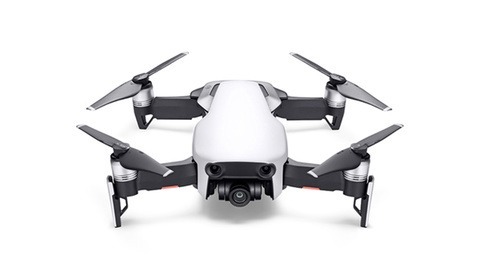 If I had the chance to try it out before buying it, I think I would have gone with a Mavic instead — especially when comparing the price difference of the Fly More combo and a Mavic Kit. The Spark in itself is affordable, but without the remote controller you won’t be able to use it to its maximum potential, and without at least a second battery, you won’t be able to shoot much. So, in the end, the price difference isn’t all that great. If you are a photographer and intend on adding drone shots into your business, you should definitely invest in a Mavic or higher-end drone. The Spark is a great starting point and could be a fantastic addition to your line of drones when you need something that makes less noise and can fly between trees. But you’ll find yourself just like me, wishing for more creative freedom in post and a better image quality overall. Now, if you are not into photography and only want to get a drone for as cheap as possible to publish drone shots on Instagram while processing your images using VSCO and the likes, it’s definitely an excellent investment. It’s light, portable, cheap, can fly anywhere, and easy to control. I mean it’s perfect for everyone who just wants memories from a different point of view or wants to shoot for their social networks without becoming a serious cinematographer. 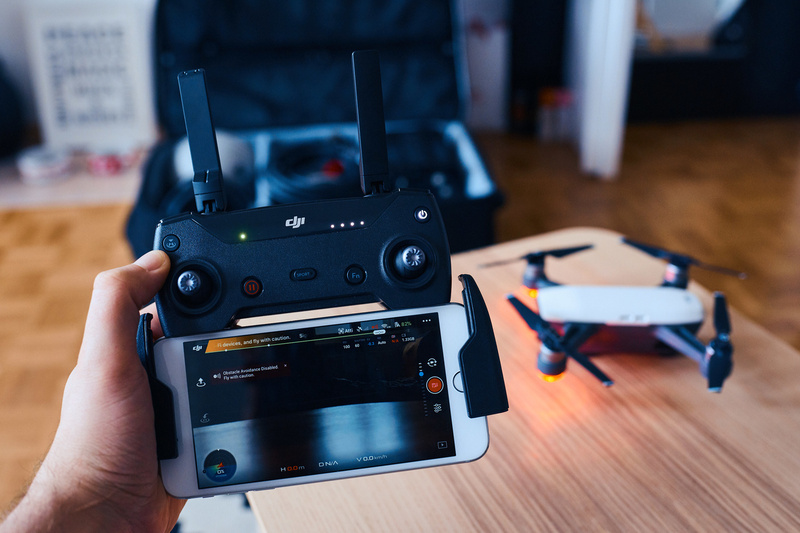 The DJI Spark alone only cost $381.58 while the full kit including the remote controller, two batteries, a dedicated battery charger, prop guards, and a bag cost $585. The cheapest Mavic kit you’ll find will set you back $899, which is about $500 more than the Spark alone and $300 more than the Fly More combo. The difference is noticeable, but as previously said, the Spark has its limitations that photographers and videographers will quickly reach. The investment in a Mavic would be wiser. On the other hand, for someone who doesn’t want all the bells and whistles, don’t care about postproduction, or just want the smallest drone possible, the Spark will be perfect and the price difference way to big to justify a Mavic. Compact and light, it can be taken anywhere. Great way to get started with drone photography and videography without investing too much money. Remote controller required to get the most out of it. Dedicated battery charger not included when buying the drone alone. Only one color profile that doesn’t allow for much color grading. Wi-Fi code to pair the drone the first time is hidden by the battery. Why do I need to remove the battery to pair my device? The DJI Spark is a fantastic drone for most people who don’t need advanced features, a long flight time, or massive postproduction work. The Spark is designed to be used without having to spend too much time in the user guide and to use the images as they are shot. There is only one color profile that works quite well if you don’t edit your shots or just do some light work on them. So all in all, if you are looking for a cheap and compact drone, but are aware of the limitations the Spark comes with, you should definitely invest in one.